Ancient fortress walls related to the 10-11th centuries have been discovered during excavations in Gabala city of Azerbaijan. At present, archeologists are studying the culture, building similarities and differences in the topography of the city in the middle ages and antiquity, day.az reported. Archaeological excavations are conducted in the ancient region of Azerbaijan since 1926. A number of valuable findings that date back to 2,500 years have been discovered during the archeological excavations in this territory. Thousands of artifacts made of clay, stones, metal, and bones have been found at the site. 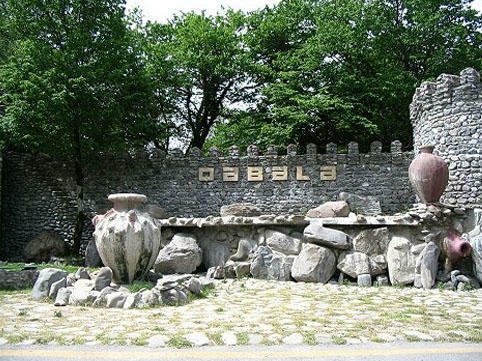 A human skeleton buried with more than a hundred jewelries and 30 potteries have been also discovered in Gabala’s Dizakhli village. The catacomb dating back to the first half of the 4th millennium B.C., is more ancient than any other catacomb found in Europe and the Caucasus.